Yarn, Thread, Floss, Ribbon, shoe lace. Just make sure it's about 2 to 3 feet in length. 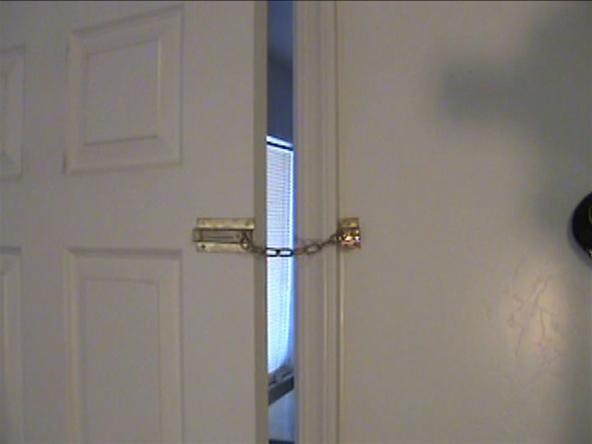 The purpose of this tutorial is to teach you how to remove the chain guard of any locked door in case of an emergency. Please disregard this as a criminal activity, because in order to get to the chain guard you would have to have the key to unlock the door knob. 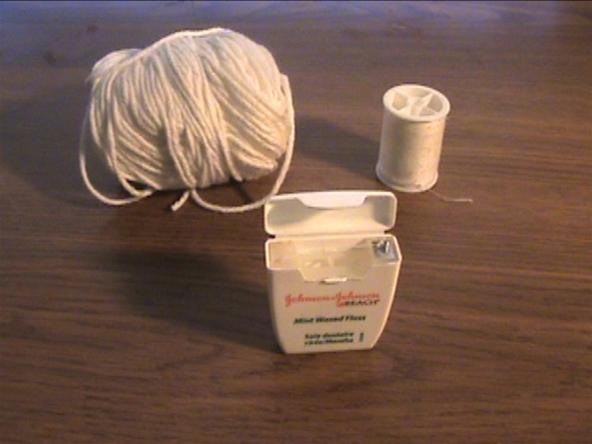 Once you have gotten the string you will be using, make a loop on one end. Carefully slide your hands through the narrow gap. Slowly get the loop around the tip of the chain. Make sure it's tight and secure. Feed the remaining part of the string to your side of the door, in a diagonal direction. Simply shut the door a bit and pull on the string. This will allow you to slowly begin to dismantle the chain guard and that's all there is to it. You will have now access to the room being protected by the chain guard.